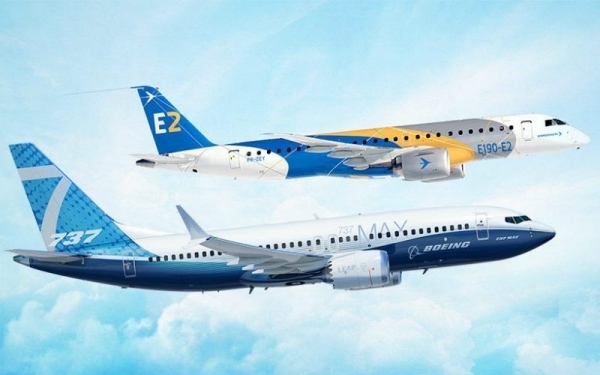 After a lower federal court in Brazil on December 6 suspended the decision by Embraer’s board of directors to pursue a joint venture with Boeing, the country's 2nd Panel of the Federal Court of Appeals on December 10 then revoked the decision. This allows for the segregation and transfer of Embraer’s commercial aviation business into a new company to be formed with Boeing. Back in July 2018, Boeing and Embraer signed a Memorandum of Understanding to establish a joint venture comprising the commercial aircraft and services business of Embraer. The companies also stated they are working to create another defence-focused joint venture around the KC-390 aircraft. Under the terms of the initial non-binding agreement for the commercial aircraft transaction, Boeing would hold an 80 per cent ownership stake in the joint venture and Embraer would own the remaining 20 per cent. The agreement valued 100 per cent of Embraer’s commercial aircraft operations at $4.8 billion, and contemplates a value of $3.8 billion for Boeing’s 80 per cent ownership stake in the joint venture. The two companies initially expected the deal to close by the end of 2019, after the completion of definitive agreements and regulatory approvals.